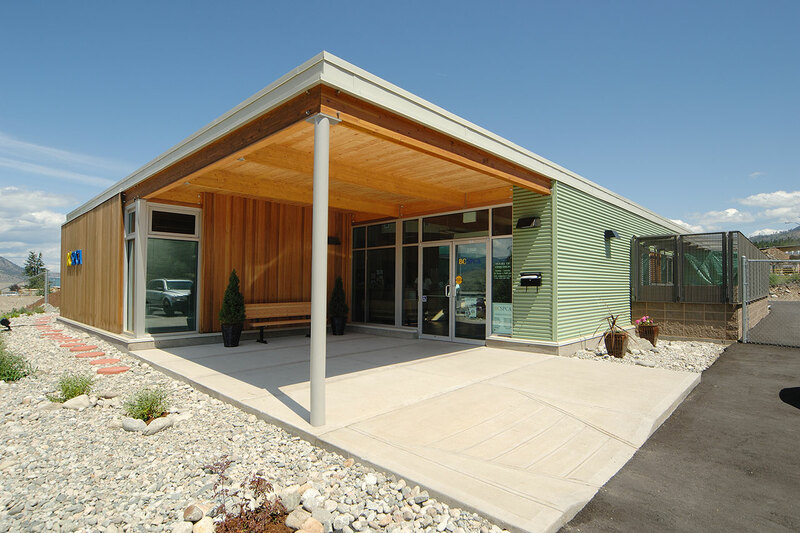 This project is a simple and attractive one-storey building constructed of robust concrete block, metal cladding and glass with a wood roof. 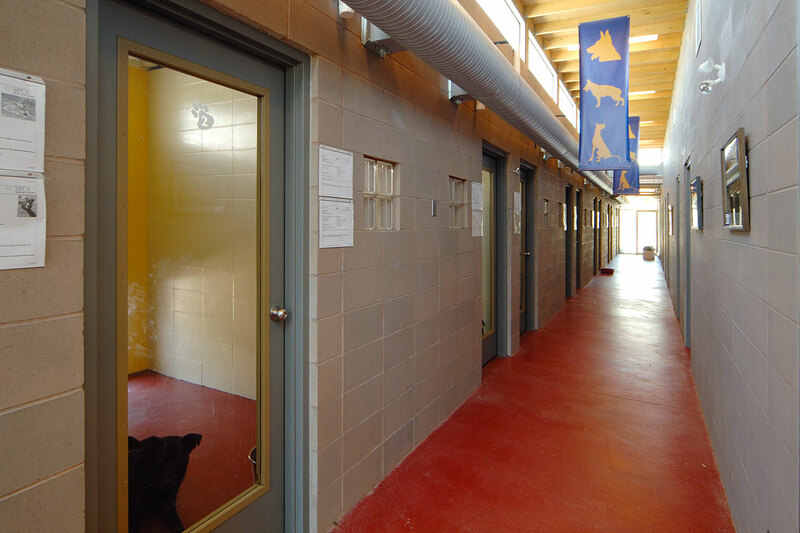 A high-ceiling central area for administration, storage and maintenance is flanked on the one side by a wing for dog accommodation, and on the other by a wing for cats. 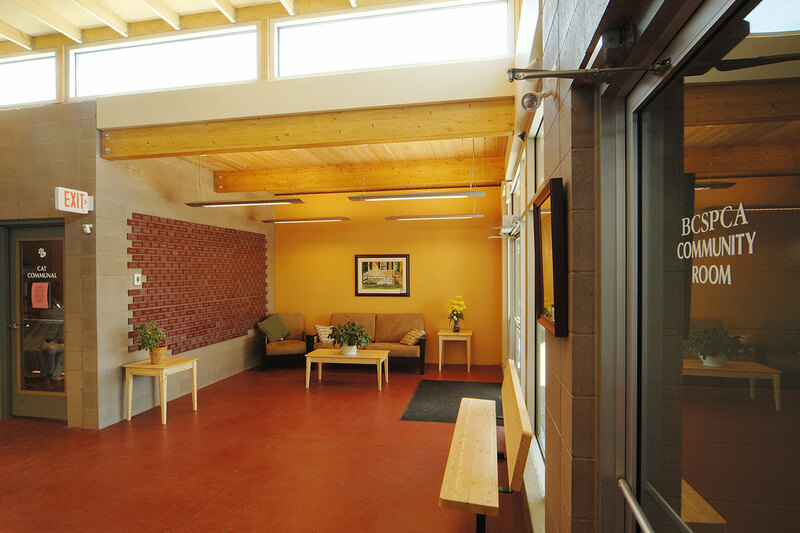 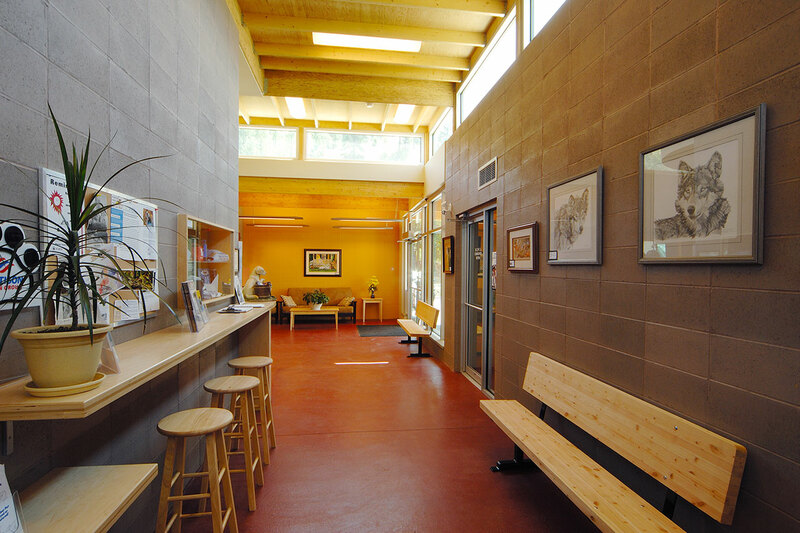 The corridors feature bright concrete floors and concrete block walls with natural light from clerestory windows. 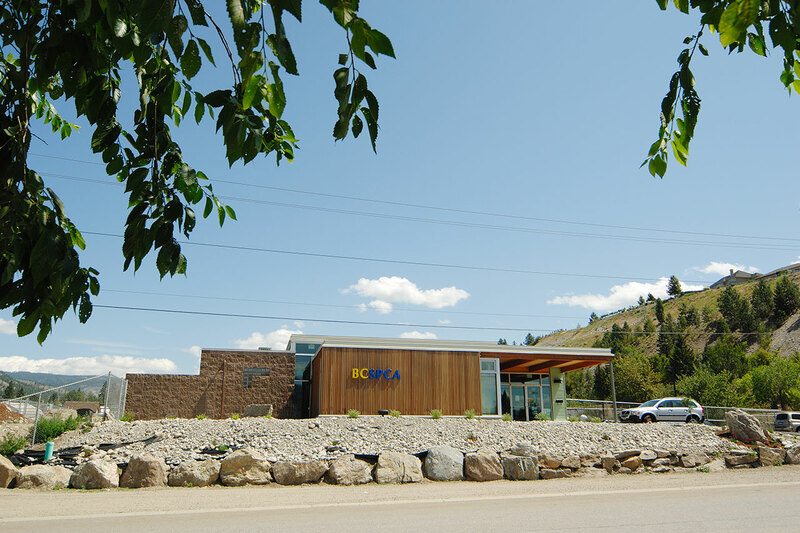 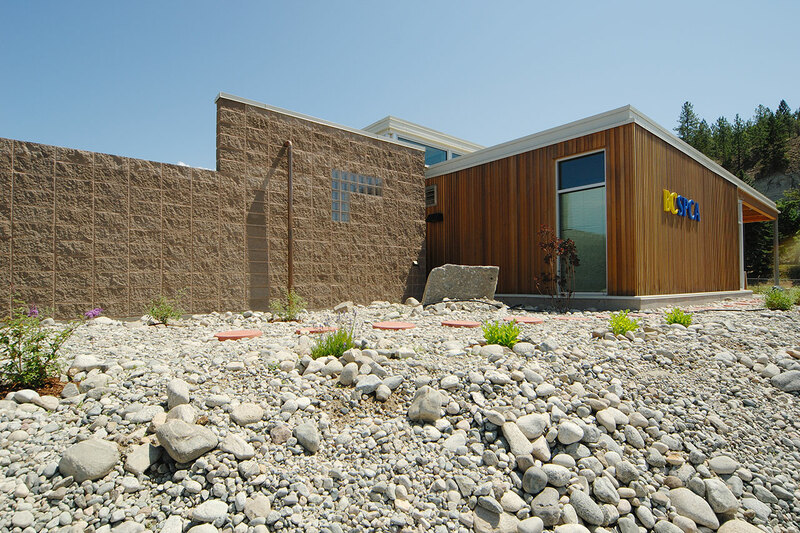 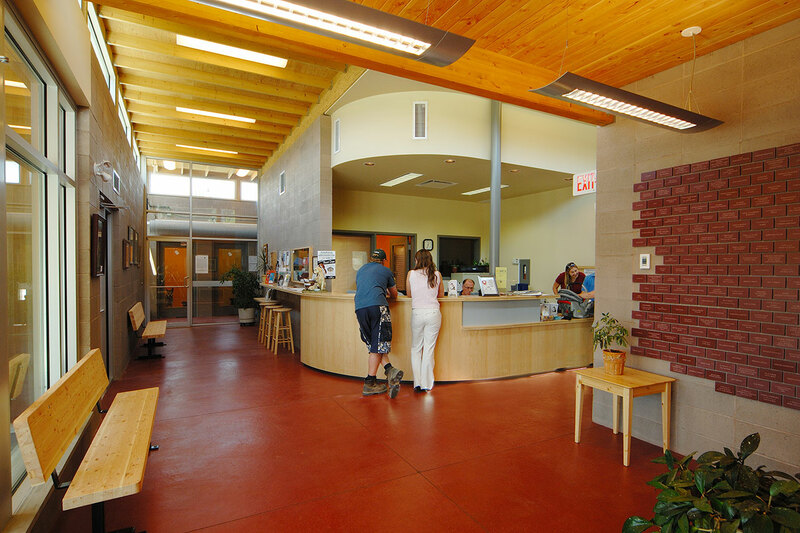 This 6,000-square-foot facility was constructed in 2006 to replace its inadequate predecessor.